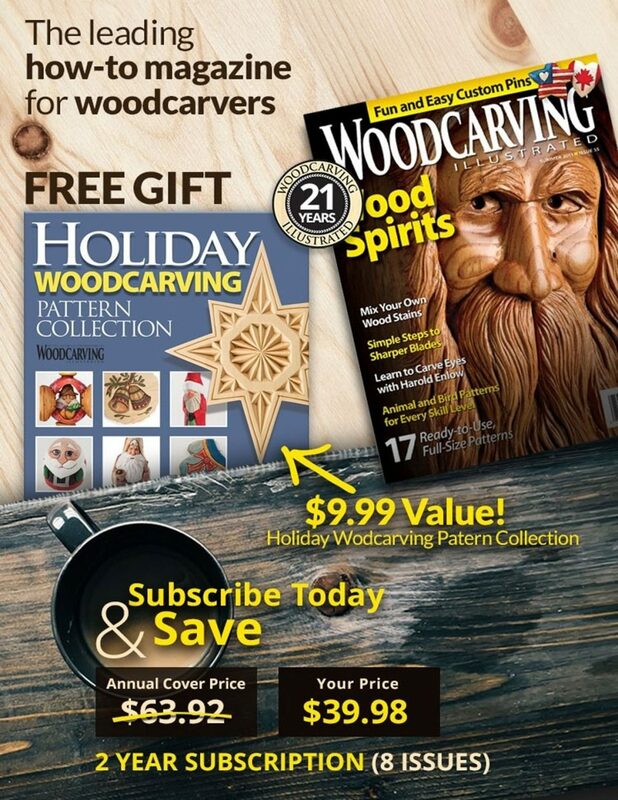 Check out the full article in WCI Spring 2019, Issue #86! 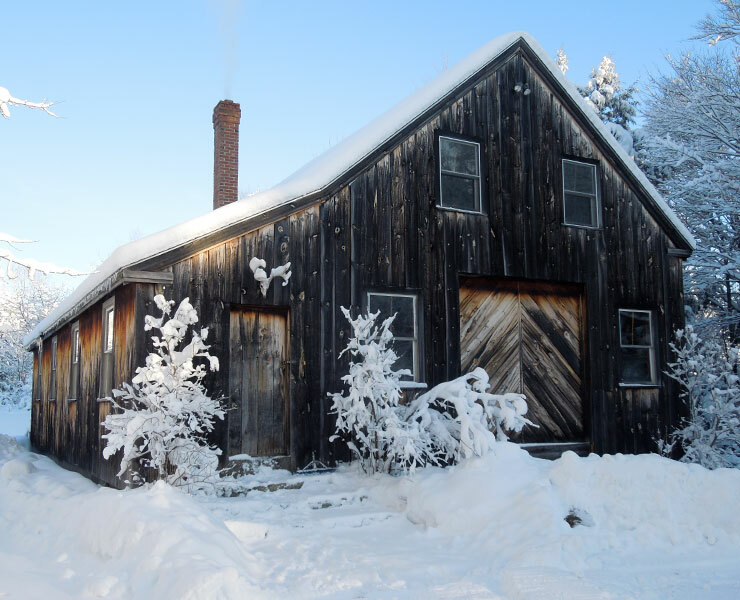 Traveling down a pine-studded lane a short drive from the Maine coast, you just might miss the turnoff to John Bryan’s workshop. The secluded gravel drive ends in a massive barn stocked with tools, half-finished pieces, and assorted hardwoods—decorated here and there with the obligatory pair of antlers. Some might avoid such remoteness from metropolitan life, but not John; this is his happy place. 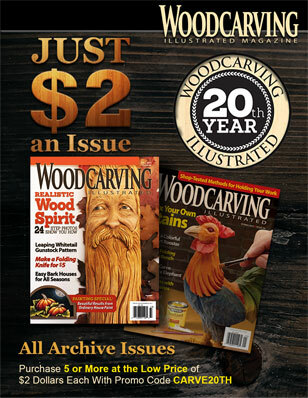 A dedicated carver for four decades, John studied woodworking and furniture-making at the University of New Hampshire. After his table design won best of show in an international competition in 1978, John decided it was time to open his own studio; a relief-carved mantelpiece was his first real carving commission. 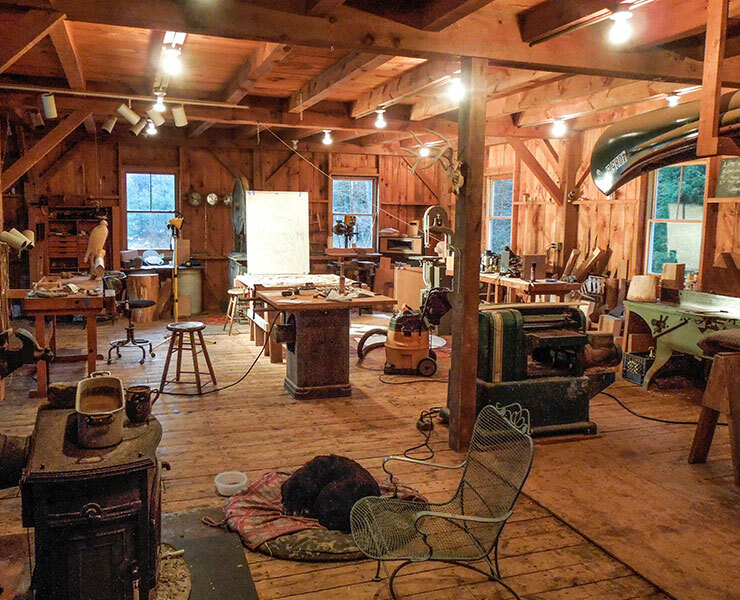 Since then, the barn in North Yarmouth has stayed abuzz with projects ranging from ornamental furniture to realistic sculpture and bas-relief—all executed with a distinctive mix of anachronism and crisp modernity. And, of course, no carver would be anything without his tools. You might even say, as John does, that these particular tools chose him. 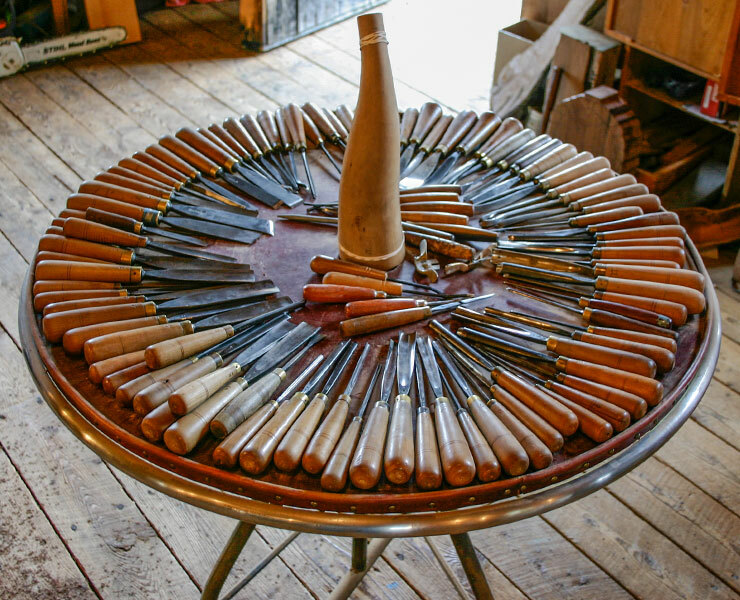 A never-used set of 120 Addis chisels, abandoned in an attic for over a century, drew his eye at an estate sale in the ’90s and he was smitten. Now, they’re integral to his process. Another crucial part of John’s M.O. is the material. 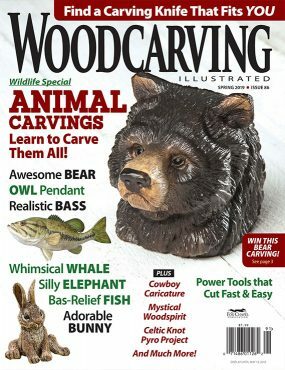 Rather than sticking to basswood (preferred by hand-carvers because it’s easy to carve but still holds good detail), John prefers to experiment with less predictable woods such as apple, pear, and black walnut root. John said he embraces the challenge as “good medicine” for the soul. 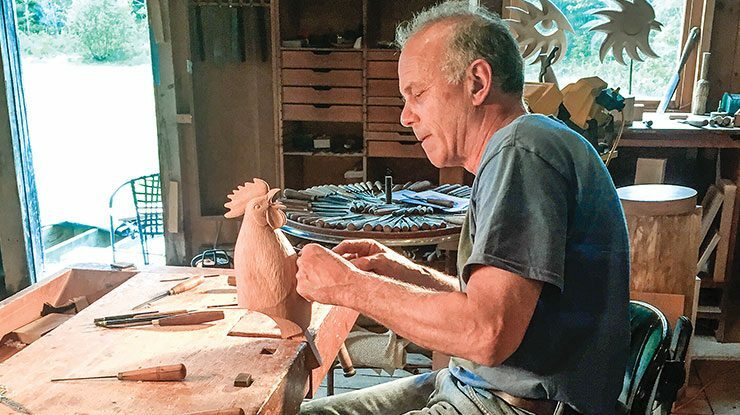 It must be working; the 80,000+ carving hours he has logged have resulted in widespread interest in his work—among other things, a tech billionaire recently commissioned a bas-relief that now hangs in the National Sporting Library & Museum in Middleburg, Va.—and, more broadly, in carving as a way of life. For more of John Bryan’s work or to place an order, visit bryanart.com.